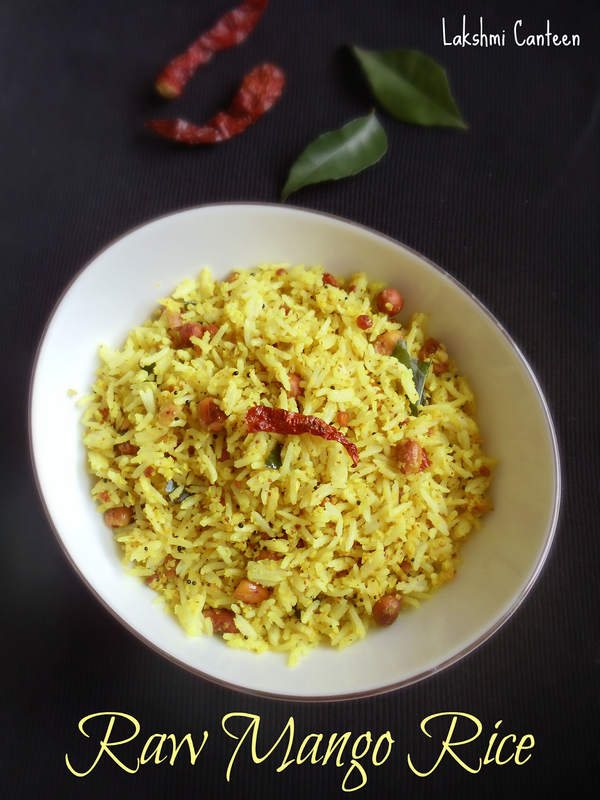 Maavinkaayi Chitranna is a very popular South Indian rice dish. In Kannada, maavinkaayi means raw mango. 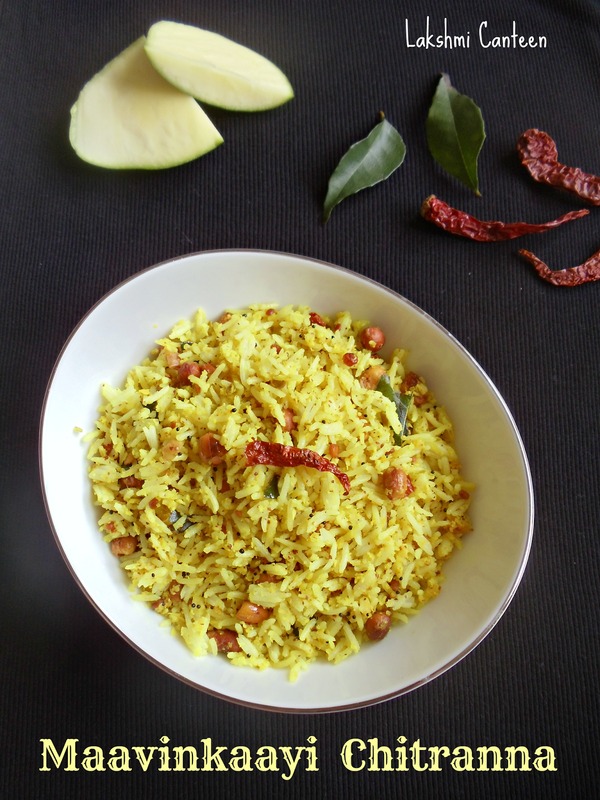 This rice is very similar to lemon rice but with added flavor from mustard powder and the awesome addition of raw mango - coconut mixture. I found this recipe here few years ago and we both are hooked to it. 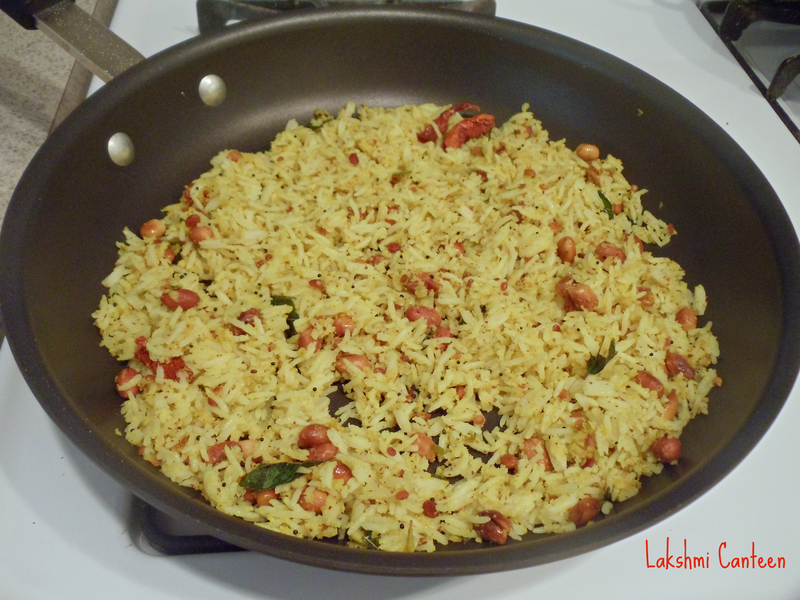 We like this recipe a lot !! My husband loves to have this rice packed for his lunch box. 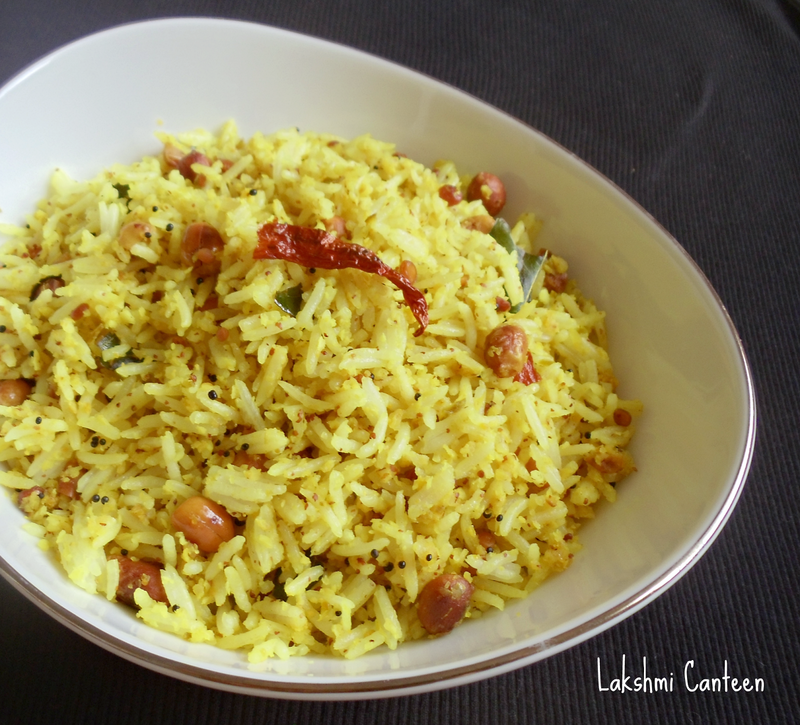 So do try this recipe and I am sure you will enjoy it. Wash and cook the rice (I cooked in a microwave oven). Let it cool for some time. 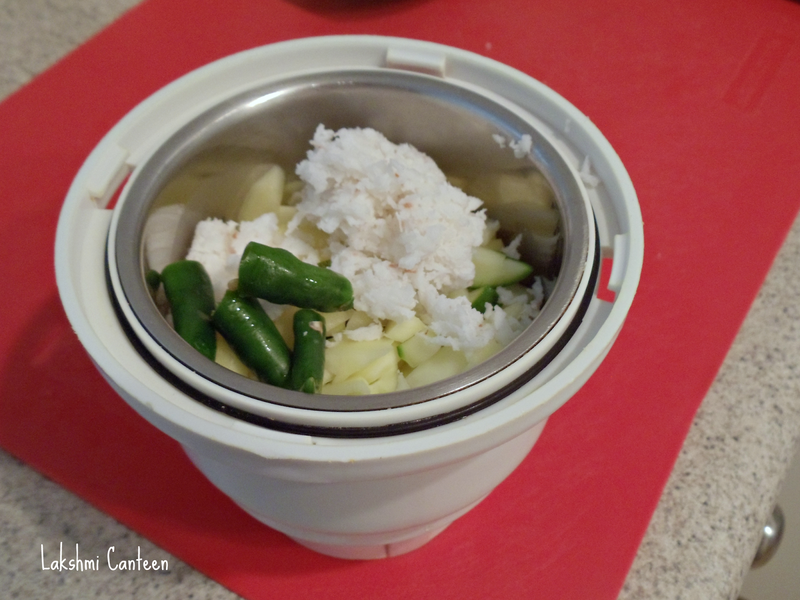 The rice grains should be well separated (you can as well put the bowl in a refrigerator for 5-10 minutes. This ensures the rice grains to be well separated). 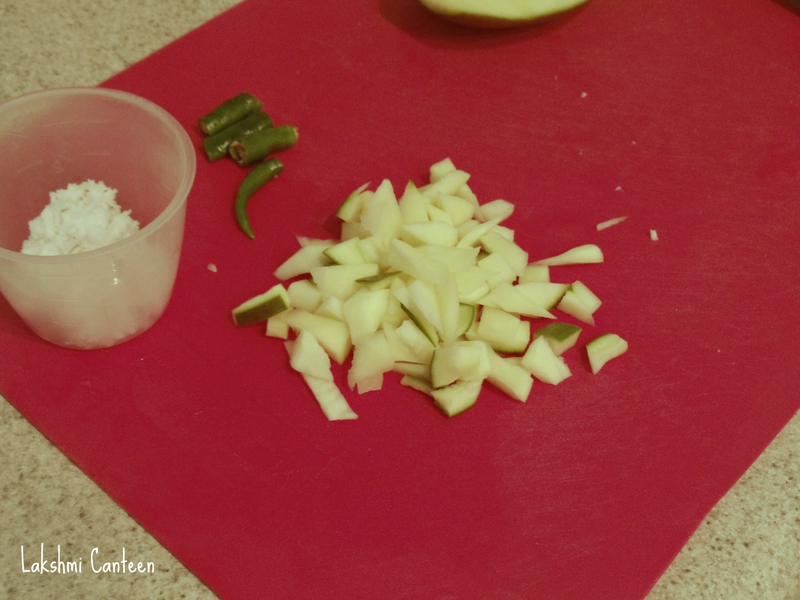 Chop the raw mango, green chilli. 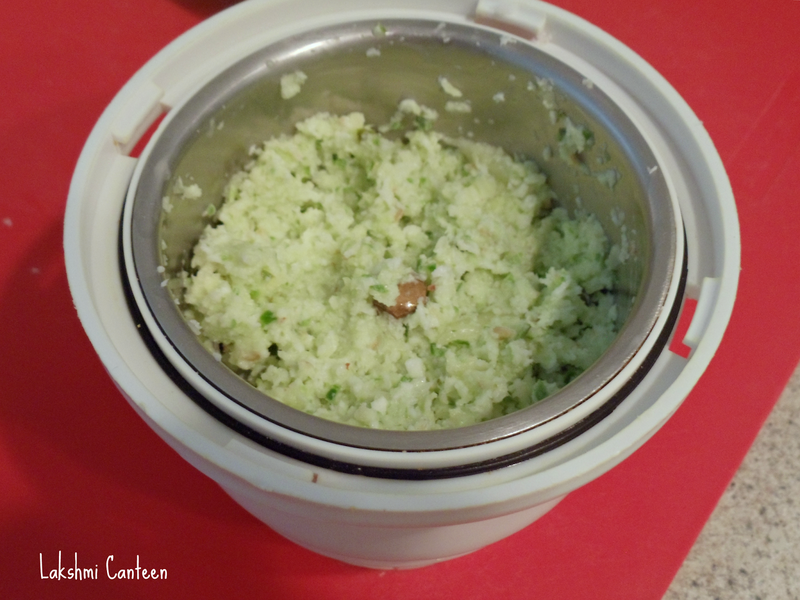 Now transfer the chopped raw mango, green chilli and grated coconut in a blender. Pulse it few times to get a coarse mixture. Set it aside. 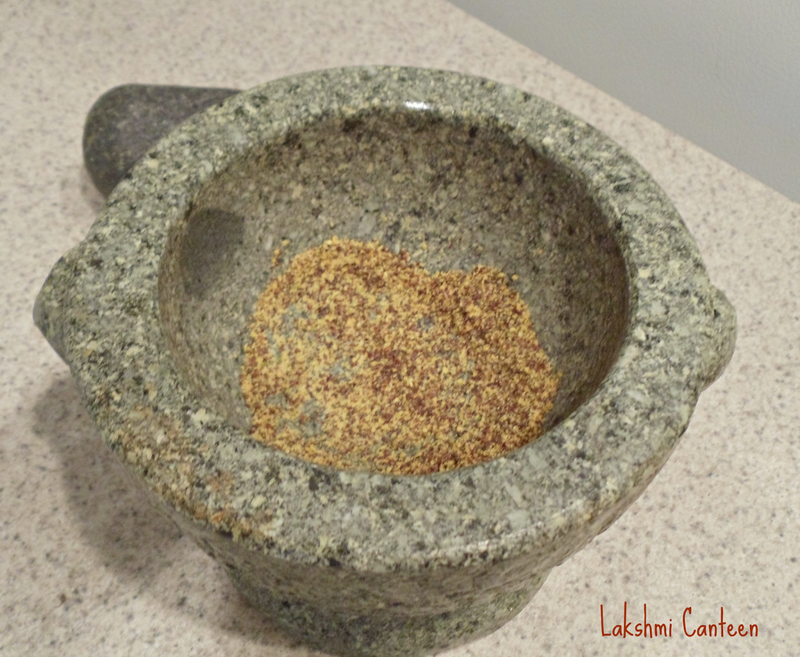 Now powder the mustard seeds in a blender or mortar and pestle. Now heat oil in a pan. Add mustard seeds. Once it starts to pop, add the peanuts. 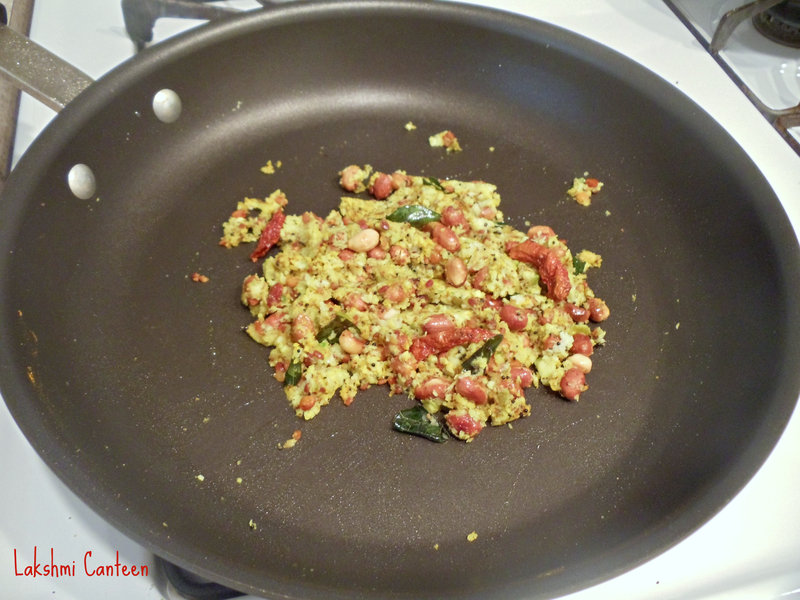 When it starts to change its color, add in chanadal, curry leaves, dry red chilli pieces, asafoetida and urad dal. Continue cooking until they turn golden brown. Now add the turmeric powder, ground mixture and sugar. Mix well. Continue to cook this mixture for two minutes and then turn off the heat. 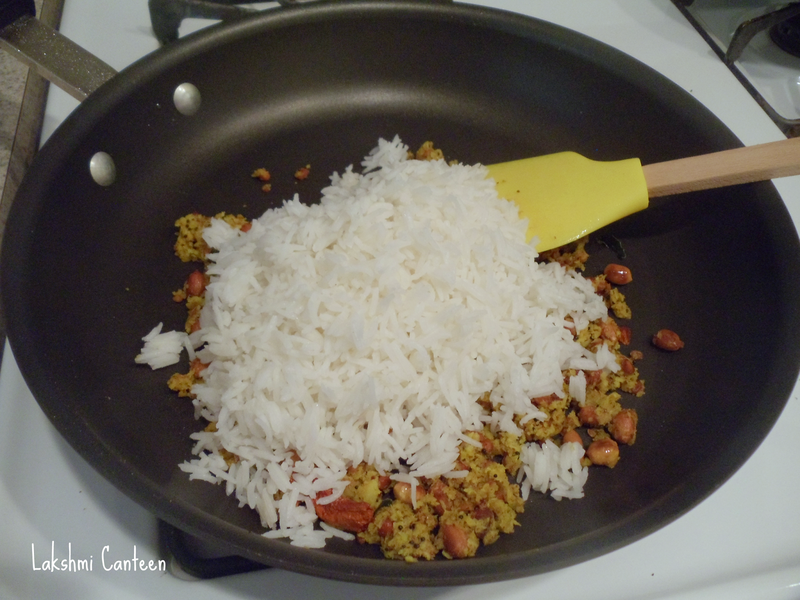 Add in some salt and then cooled rice. Mix it gently until everything comes together.